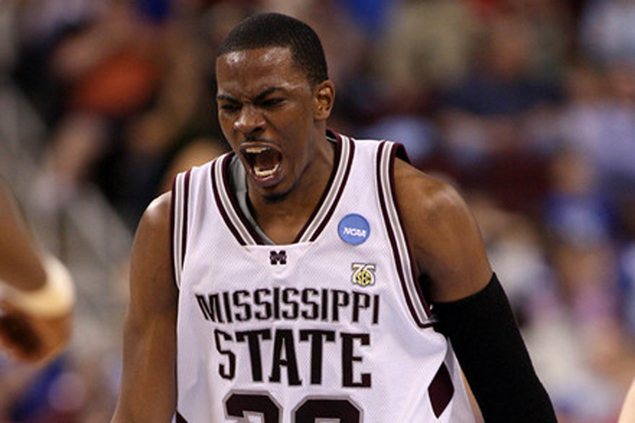 Charles Rhodes is a talented power forward out of Mississippi State who recently had stint with the Ulsan Mobis Phoebus, a many-time champion in the KBL. SAN Miguel hopes it found the right import this time. The Beermen are taking a chance on Korean Basketball League veteran Charles Rhodes to anchor their campaign in the 2017 PBA Commissioner’s Cup. SMC sports director Alfrancis Chua confirmed Rhodes will be suiting up for the multi-titled franchise for the import-laden meet set to start on March 17, although the native of Galveston, Texas has yet to arrive in the country. Rhodes, 31, is a talented power forward out of Mississippi State who recently had stint with the Ulsan Mobis Phoebus, a many-time champion in the KBL. Last year, San Miguel was fancied to win the mid-season tournament behind explosive reinforcement Tyler Wilkerson, who, unfortunately, imploded during the semifinals against Rain or Shine and led to the Beermen’s sudden downfall. The team is keeping its fingers crossed the incident won’t be repeated as the Beermen seek to win their first Commissioner’s Cup title in 17 years. “Tingnan natin,” said San Miguel team manager Gee Abanilla. Barangay Ginebra meanwhile, is set to bring back the prolific Justine Brownlee for another tour of duty. The import who steered the Kings to their first-ever league title in eight years by ruling last year’s Governors Cup at the expense of Meralco, will be seeing action for the popular ballclub until the end of the season, meaning he’ll reinforced Ginebra in both the Commissioner’s and Governors Cups. While Brownlee is way below the maximum height limit of 6-foot-10 for imports, the possible return of 7-foot center Greg Slaughter from injury is expected to compensate for the imports’ lack of ceiling. Brownlee only stands a shade below 6-foot-5 and is coming off a stint with Mighty Sports in the recent Dubai International basketball tournament. Like Barangay Ginebra, Rain or Shine is also tapping the services of a tried and tested import in Shawn Taggart. The 6-foot-9 former Iowa College and Memphis stalwart played for Globalport in the same import-featured tournament last year as a replacement for Calvin Warner, although the Batang Pier failed to make the playoffs. Only last Monday, he was unconditionally released by the Batang Pier, paving the way for his transfer to the Elasto Painters. Taggart is set to start practicing with the team on Friday. Other teams which already have imports include Phoenix (Jarrid Famous), TnT Katropa (Denzel Bowles), NLEX (Wayne Chism), Meralco (Alex Stephenson), Star (Tony Mitchel), and Mahindra (James White).